Maurice “Reese” Anderson is a typical teenager who has made a mistake. The only difference is, his mistake involved stealing prescription pads from a doctor’s office, and he was caught and arrested for this crime. He finds himself locked up at a juvenile prison called Progress, where his efforts to improve his attitude are met with opposition by the boys who have already given up. His days are spent going to class, dodging (or not dodging) fights, and dealing with the boredom that comes from being cut off from the outside world. When he is singled out as a likely candidate for a new rehabilitation program, however, he thinks his luck might just change. He begins a part-time job at a retirement home, which allows him to get out of the negative atmosphere of the jail. Assigned to the mistrustful Mr. Hooft, who thinks of him only as a criminal, Reese struggles to improve his reputation. If he can get Mr. Hooft to think of him differently, to see him as a person rather than a delinquent, then maybe he can recognize the good in himself. 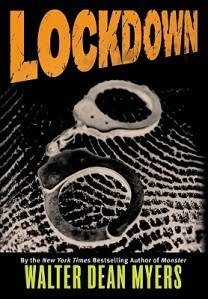 Lockdown is the kind of book I never would have picked up on my own, but it offered a reading experience I won’t soon forget. Walter Dean Myers is a talented writer, and he captures the bleakness of Reese’s experience in a convincing, yet understated, way. Make no mistake: the story is depressing and claustrophobic throughout; nonetheless, it refrains from any inauthentic sensationalizing. The most haunting aspect of Lockdown is that it all rings true. Though Reese is a fictional character, he represents plenty of young men who are very much real. Although readers desperately hopes that Reese will be able to transcend his circumstances, they are continually reminded of how truly difficult this is to do. 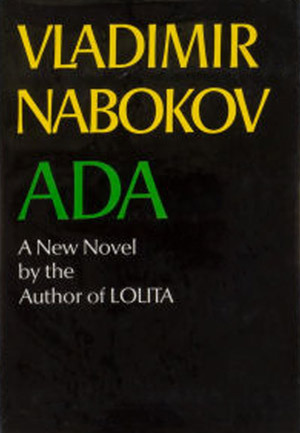 Perhaps this is the most troubling, but ultimately most important, part of the novel. Myers offers no tidy ending, no promise of redemption; instead, he gives his audience what they really need: a sober lesson on the way the world sometimes works.